For my 30th birthday, my husband (Andrew) purchased a bottle of 1988 Dom Perignon at auction. We had seen many people pair this vintage with caviar and fried chicken online, which is a great idea that I always support, but we decided to find a NYC restaurant that could pair dishes with the wine. So we landed on Bâtard, a Michelin starred restaurant serving up modern French fare in Tribeca that has free corkage on Monday evenings. The restaurant was REALLY bustling for a Monday night, but we were led to an intimate corner table with plush leather seats. The sommelier poured the most golden champagne I have ever seen, and we were pleasantly surprised by the beautiful port-like nose in our glasses. Our attentive server brought out country bread, a French roll, and just enough rich butter for the carbs. The sprinkle of salt on the fluffy roll was the precise touch to perfectly begin a fantastic French meal. Because everything on the menu looked enticing, we opted for four courses (instead of the two or three course menu) to maximize the dishes we could try. To start, we chose two luxurious meats that paired nicely with the complex 1988 Dom, which is initially slightly crisp but ends in a mellow stewed fruit taste that lingers on the tongue. The tartare was impeccably seasoned, and the everything bagel spice crisps added essential texture to the dish. 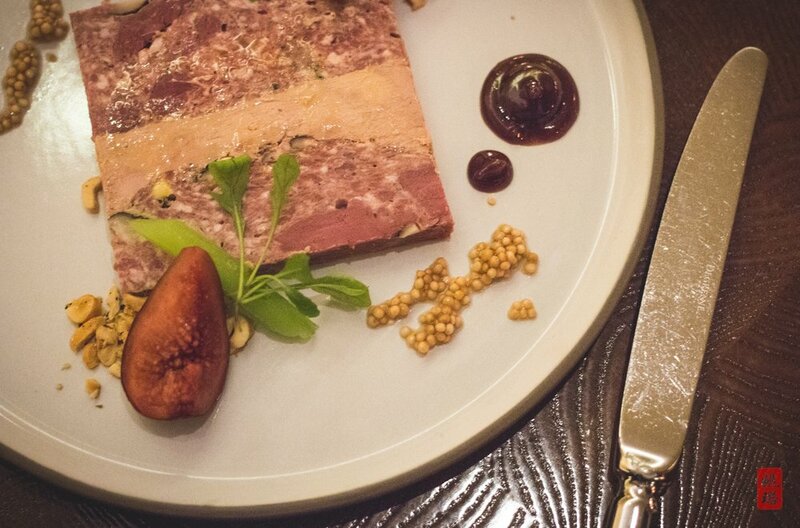 And the richness in my venison and foie gras terrine was cut with the fresh figs on my plate. 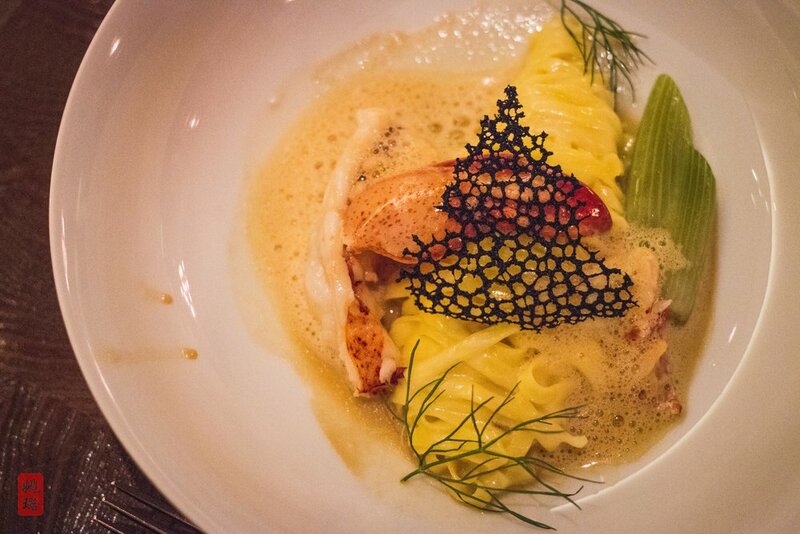 The next course was what we were both waiting for: lobster tagliatelle! The lobster was glistening and stood out on the already flawless pasta rolled into this foamy rich tomato-seafood broth. To really top it off, the plate was presented with a crispy patterned squid ink tuile! If you bring or order a bottle of champagne, this is THE must-have dish. If Andrew had ordered anything aside from that lobster tagliatelle, I would have said that the roasted quail with bacon jam, kale, sweet potato, and cipollini onions is the most cohesive combination of ingredients. But alas, I was left convincing Andrew to leave more of that lobster tagliatelle for me as I munched on the little quail drumsticks. I would highly recommend ordering off their well-thought out wine list! The portions at Bâtard are extremely considerate, and of course we indulged in everything before we reached the main dishes, leaving us a bit full by the time our third courses were placed in front of us. By this time, though, we had already finished off that bottle of Dom! 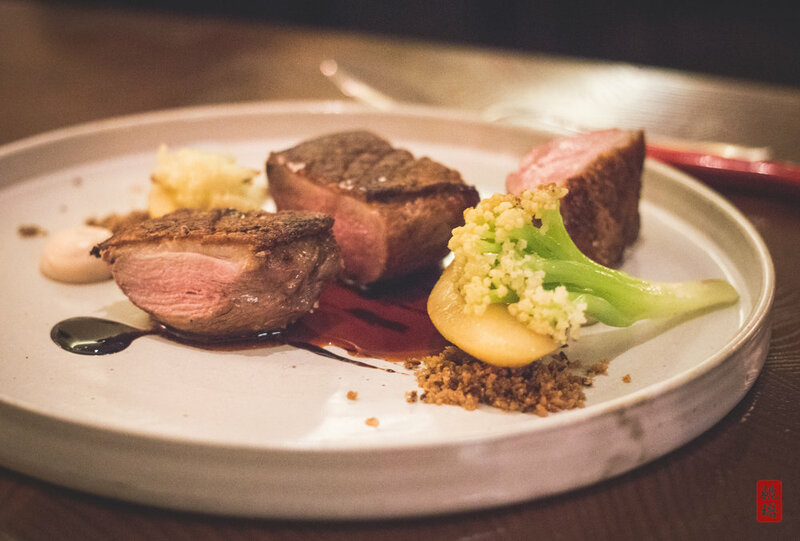 Andrew ordered a perfectly cooked duck breast in truffle butter that blew our minds and went very admirably with the robust, cherry-forward pinot noir we ordered. I was glad I went with the lighter seafood option with a red snapper that came with some much welcomed vegetables. The best part about the snapper was that lovely crisp on the skin. Then came dessert. When the menu said soufflé for two, I never imagined a soufflé the size of my face. But Bâtard is full of surprises. This dessert is certainly enough for two people, and it included another surprise within: cinnamon apples! This super fluffy soufflé with vanilla bean ice cream exceeded all of my expectations, leaving me dreaming for more. I don’t think I could possibly order any other dessert here now that I have had a taste of this. Until next time! Monday nights are no corkage wine night! You are allowed one bottle per couple, but they have a beautiful wine list if you want to keep drinking. Make sure you make a reservation for Monday night - Bâtard may just be the busiest fine dining restaurant on a Monday night! The pricing is extremely generous, especially considering how large each dish is! For the four courses, we paid $95 per person (excluding wine, tax, and tip).